Learn more about our Secure, Scalable, Version Aware Business Logic Server. FlexRule Server is a state-of-art business rule and decision server. It will enables you to manage and execute decision modules. You can simply deploy them on a centralized server and allow all platforms, technologies and devices communicate to business rule and decisions. 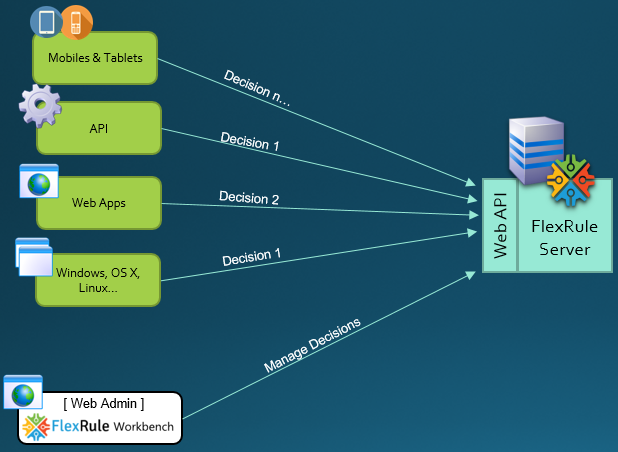 Workbench is a responsive administration and monitoring web-based application for your business rule and decision server. 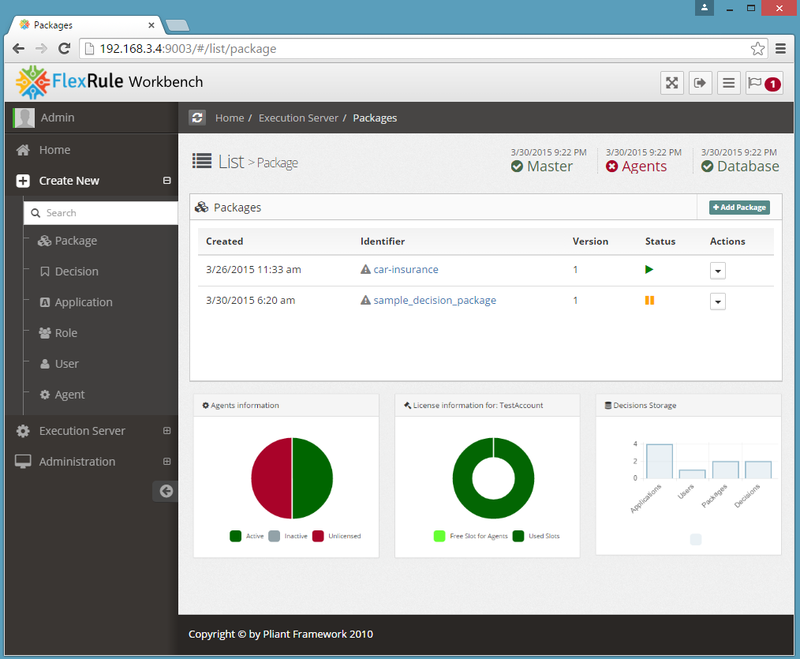 Single Click Deployment to Build a Decision-as-a-Service Platform using Business Rule Server.